As the population of the world grows so does the burden on the world's food supply. Not only has global warming wreaked havoc on food supplies but the excessive demand for certain foods has also severely depleted certain resources we've come to adore. In Central America, climate change and illegal fishing are wiping out their shrimp and lobster populations. In Japan, the Tsukiji fish market which has become a worldwide tourist attraction due to the surging popularity of Japanese food, particularly sushi, was bracing for a potential ban on the prized bluefin tuna. Three-quarters of the world's bluefin tuna catch is auctioned off through Tsukiji. The bluefin tuna which can fetch as much as $175K for 522 lbs has seen its population ravaged over the years due to overfishing. Although it is hard to class the bluefin along with other endangered species like pandas, apes and tigers, it's clear that something needs to be done to address this issue. According to Yuichiro Harada from a Tokyo-based group which lobbys for the "responsible" fishing of bluefin tuna, "unlike those animals, tuna can bear hundreds of millions of eggs and is internationally recognized as a commercial food." 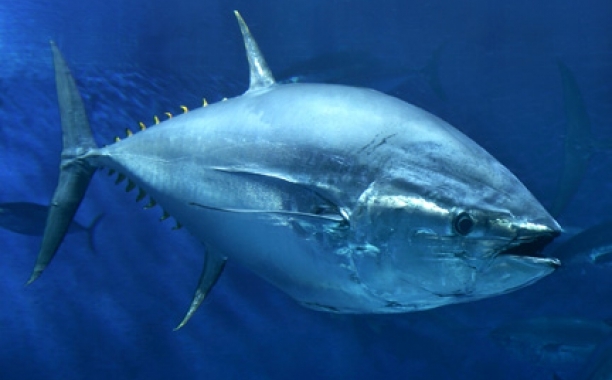 The decision on whether to add the bluefin tuna to the list of highly endangered animals was apparently made on March 25, 2010. Decision? Seems like things are still status-quo... So can you ever have too much of a good thing? I guess it depends if you're having "too much" of it. Eating out is often difficult for people with celiac disease or a gluten intolerance. Gluten is the protein found in wheat, barley rye and triticale. A new type of noodle is starting to make waves in the North American market. Sea cucumbers are animals that live on the ocean floor and is a popular Japanese food.